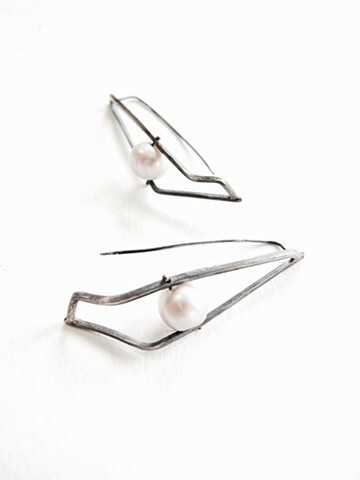 A modern take on the pearl earring. Minimalist and free of smugness. Oxidized silver with natural gray pearl.